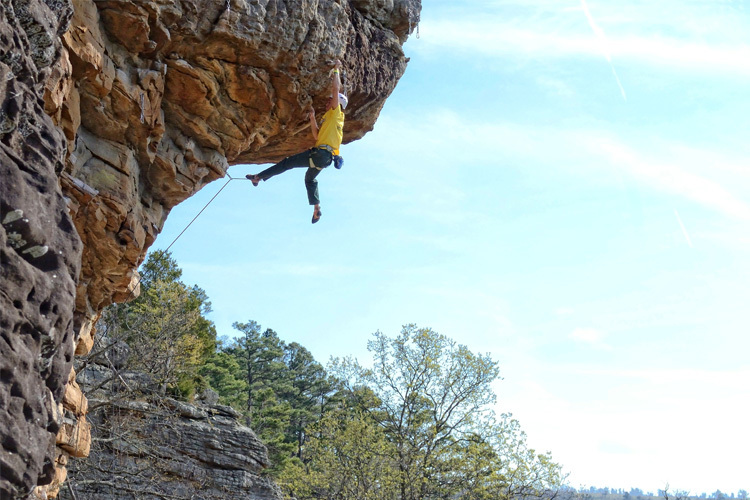 Looking for a new way to get your kids hiking this spring? 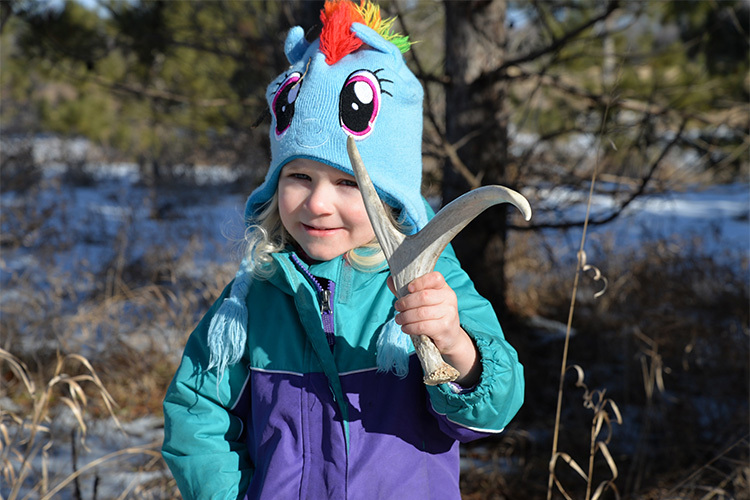 Take them on a shed-antler hunt for tined treasures. 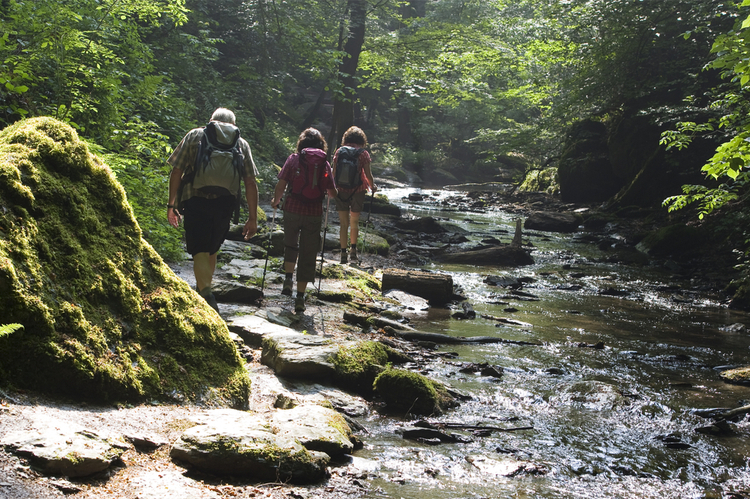 Taking your family on an antler hike puts a new twist on spring day hikes and sharpens everyone’s abilities to observe what’s around them in the woods. March and April are the best months for finding antlers because deer drop their antlers at this time every year before growing a new set back later in the year. On a recent antler hike my six-year old twin girls eagerly flanked my wife and I as we walked up a snow-covered two track on a neighborhood farm. The landowner was nice enough to give us permission to look for shed deer antlers, and the girls were ready to fill up my backpack. My own expectations, after a couple of decades of antler hunting, were a bit lower than theirs, but a shed hunt isn’t just about collecting bone. On this particular day, temperatures in our area of Minnesota reached into the 40s, and it was simply a nice day to take a wooded walk in March. We hiked along the edge of a pond and then up a cedar-dotted hillside while the girls checked out every deer bed. They also kept an eye on our black Lab to see if she, too, might find an antler, which is a task that any dog with retrieving desire can be trained to do. It wasn’t until we were half an hour into our hike that I saw three inches of something white periscoping up through the leaves beneath a stubby red oak. I wasn’t sure if it was a tine, but I sent my daughter up ahead on the trail anyway. She was bug-eyed at the size of it and excited by the fact that, at least to her, she had found something so cool on her own. After that we scoured a picked soybean field and a few more potential spots, but never found another antler. 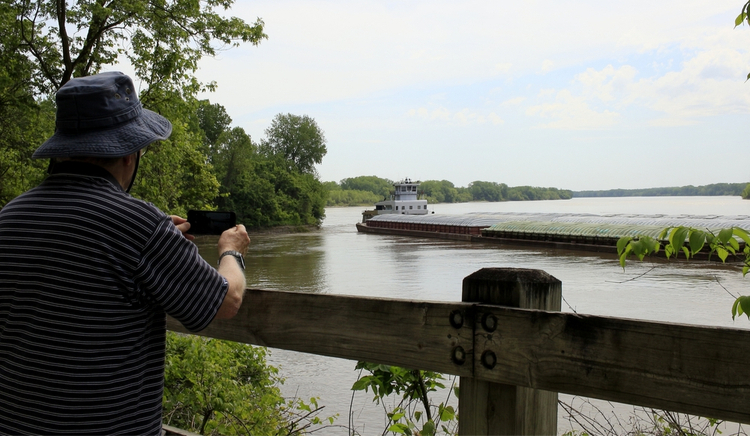 We did make plans to take another Sunday afternoon to sweep that farm, or one of the many parks near our house in the suburbs of the Twin Cities. As it turns out-and as the girls are learning-there are a lot of places in which a person can roam to hunt for deer antlers. Quick tip: Overcast days with even light and no deep, dark shadows are the best days to spot antlers, especially if there is enough moisture in the air to make them glisten just a little. 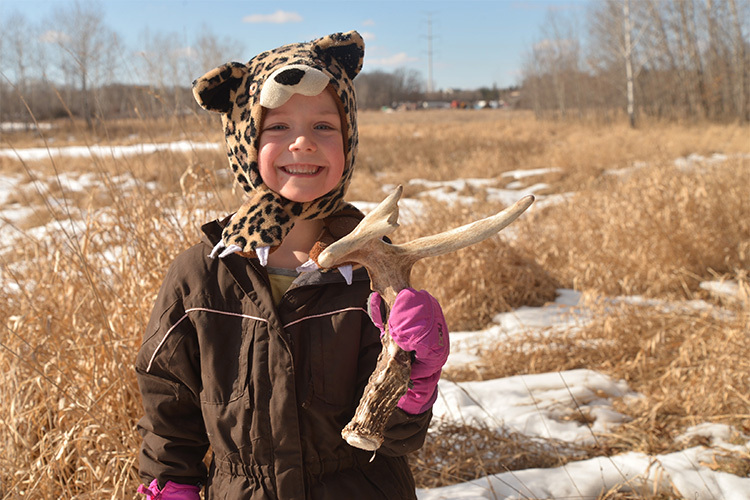 A shed-antler hike is a great way to get the kids outdoors in March or April. Look for antlers where deer bed and along well-worn deer trails. While I won’t turn down a chance to shed hunt private ground, most of my hunts occur on public land-and most of yours probably will as well. There are many kinds of land open to the public including State Parks, County Parks, Park Preserves, and plenty of other open spaces, all of which are good options for the willing shed hunter. 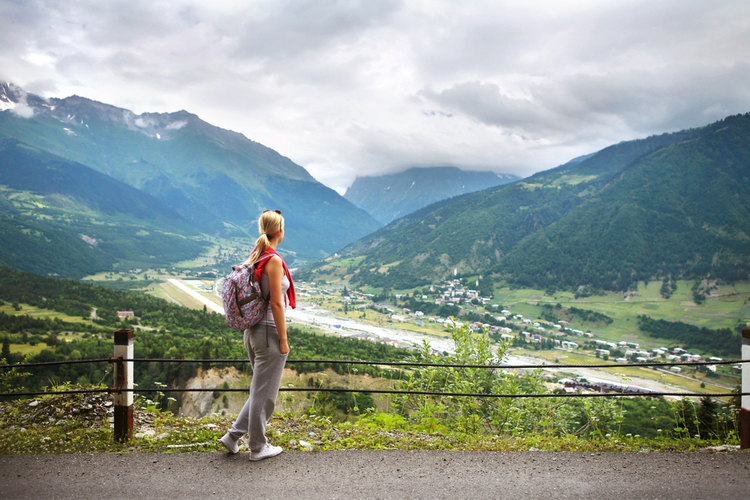 A quick search on your smartphone will reveal nearby areas that will allow you to hike either for free, or for the cost of a daily pass. That same smartphone will also allow you to look at maps of a given property as well as aerial photos. I’m a big fan of walking wherever my whims take me, so I don’t plan out much of a route when I’m taking the family shed hunting. However, it’s nice to know where certain trails lead and where the property boundaries are. OnX offers a great app for this purpose. There are plenty of places where you can look for shed deer antlers including State and County Parks. Deer spend most of their time either on food sources or where they bed. If the land you’re roaming has a picked cornfield or other agricultural field, that’s a natural place to begin your antler hunt. Bedding areas tend to be in the thicker cover, or often along wooded ridges. The trails that connect the two are also great places to walk. Overall, the absolute best spots to look are those where you see the freshest sign and the most well-used trails. That’s why I head out with a loose plan on where to look for antlers and end up spending most of my time wandering wherever the sign takes me, which is also part of the fun. Quick tip: Deadheads, or the skulls of deer and other game animals may be pretty neat to find, but they can also be illegal to pick up without a possession tag. Check with your local fish and game department so you know the rules before you carry any animal skulls out of the woods. It's simple but true-the best place to look for shed deer antlers is around the freshest sign you can find. 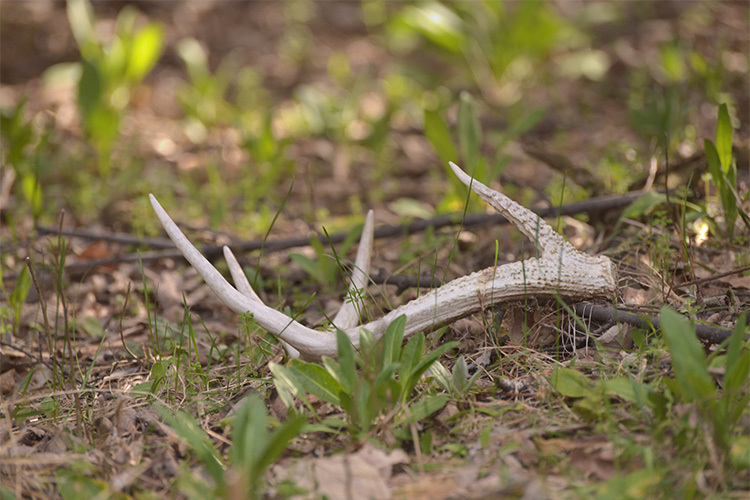 Finding shed antlers is exciting, but it’s not easy. If you expect to slip into a woodlot in your neighborhood park and find enough bone to necessitate extra trips out of the woods to spread out the load, think again. If you cover enough ground and follow enough miles of deer trails through the landscape, you might find one. If you do, mark the spot and take a good look around the area. A buck that has dropped one side of his rack will often lose the other within a couple of hundred yards, and finding a matched set is pretty special. 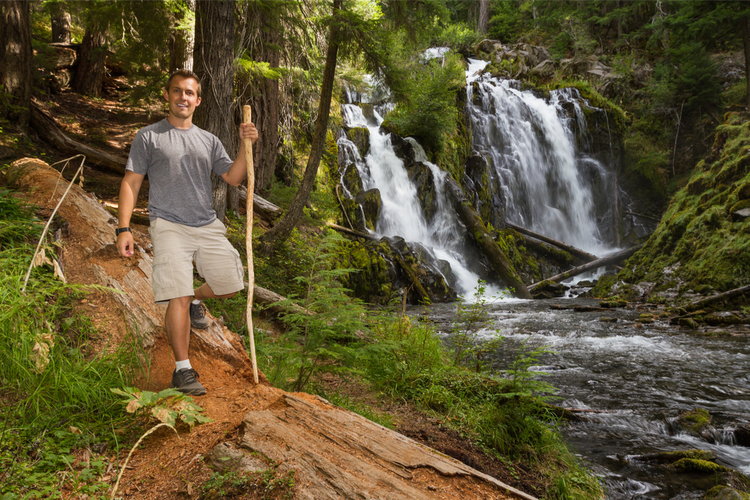 Of course, many of the times you and the family go shed hunting, you’ll come home empty-handed, but that’s OK. Studies have shown that one of the best ways to boost mental health is to simply take a hike in nature. If that happens to result in a really cool souvenir that only a few weeks before was attached to a buck’s head, then that’s a bonus.